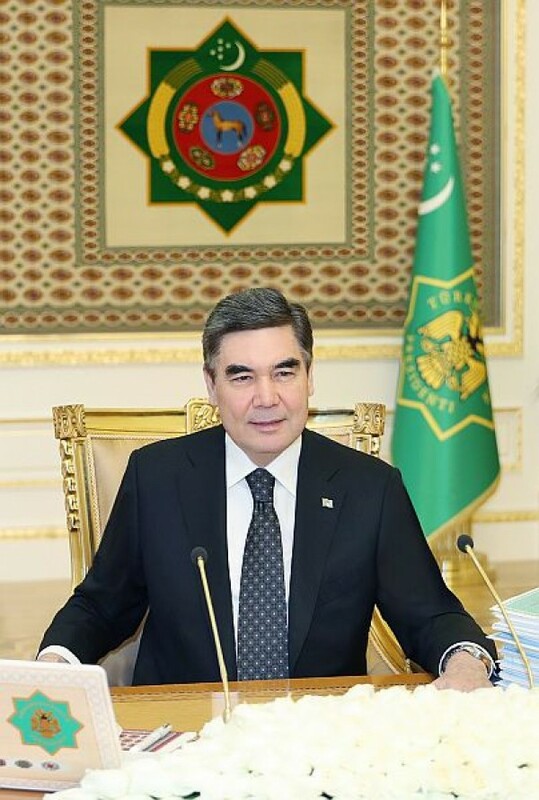 Gurbanguly Berdimuhamedov outlined the key tasks for the leaders of the government of Turkmenistan in 2019, speaking Friday at an expanded meeting of the government, which summarized the country's socio-economic development in 2018 and identified future plans. The President instructed the heads of the financial and economic complex to take under special control the implementation of the adopted Program for the development of economic sectors and provinces for 2019-2025. “We must reduce the dependence of the domestic market on exports, speed up the digitization of the economy, and, having strengthened market institutions, actively pursue investment policy, the head of state said. “Since the term of the National Rural Program ends this year, it is necessary to start developing a new program for the following years. Addressing the heads of the fuel and energy complex, the head of state said that one of the main areas is the creation of innovative industries for the development of the oil and gas industry and the processing of hydrocarbon resources. Expansion of export opportunities through diversification, as well as the creation of a multi-vector system of sending energy resources are of great importance for the development of the national economy. “It is necessary to carry out the planned work on the construction of the TAPI gas pipeline at an accelerated pace and with high quality,” said Gurbanguly Berdimuhamedov. Highlighting a large amount of work, which includes the construction program of this year, the President noted that over 22 billion manat will be invested in the industry. At the expense of the state and private investors at a high pace it is necessary to continue housing construction in the cities. Particular attention will be paid to the construction of new power plants and the reconstruction of existing ones, which will increase the volume of electricity exports. – Construction of the high-speed highway Turkmenabat-Ashgabat-Turkmenbashi will allow us to more actively integrate into the system of world economic relations and increase foreign exchange earnings. Therefore, all managers should with a high degree of responsibility approach the implementation of the investment program, – the head of the state said. Before the leaders of the agro-industrial complex, the president set the task in the near future to complete work on improving the structure of industries, the widespread involvement of entrepreneurs in the development of the processing industry, and the production of high-quality export-oriented products. Heads of the industrial and transport-communication complex Gurbanguly Berdimuhamedov instructed in the near future to complete organizational activities to improve the relevant areas of the complex, continue to create the electronic industry, increase the number of joint ventures, thoughtfully use the possibilities of transport and transit corridors and incorporate them into the international logistics and trading systems. The development of the North-South railways, Turkmenistan-Afghanistan should also be continued. Gurbanguly Berdimuhamedov instructed to update the fleet of road, rail, water and air transport, build new and modernize existing stations and airports, develop a merchant marine, maximize the potential of the Turkmenbashi international seaport, fully equip the fleet with cargo and passenger ships. The President also instructed to train specialists for the digital technology system, develop cellular communications, television, continue to introduce the Internet, using computer technologies, satellite communication capabilities, and work on launching another artificial satellite into the near-Earth space.